Given The Choice, a novel by Susan Sellers, explores a kaleidoscope of choices and self-deceptions, echoes and overlappings: those to do with work and careers, with gender (and progeny), choices connected to artistry, creativity and imaginative interconnection and those choices thrust upon us by chance, time, parents, children, friends, patrons, or those supported by patronage. The protagonist, Marion, rich by marriage, childless, yet dedicated to fostering the arts, to nurturing, shaping, and selling, the work of emergent painters (and occasionally musicians) is faced by unpalatable career and marriage choices to confront, and sometimes evade, those elements of her personality and childhood that she has hitherto chosen to ignore, or outrun. At times, as other characters are sucked into Marion’s energised orbit (we are given chapters from various points of view, allowing a greater range of choice and consequence to be explored) the reader experiences Marion, egotist and entrepreneur, destroying as much as she creates. Those sections told from Jean-Claude’s, the painter’s, perspective, as he reacts to Marion’s need to control and create public and marketable surfaces, have energy and a convincing layering of psychological verisimilitude, descriptive detail and pace. Similarly, Peeter’s fairy-tale visit to Marion’s grand house to play her Steinway is vividly caught, as is his inner life, the walk in the garden, where the ‘sinuous bodies’ of koi swam, ‘their sihouettes, glints of silver, orange and bronze rippling the water’ (p. 93). Later, breaking this almost witch-like spell with the deeper memories of childhood and Estonia, Peeter prepares beetroot and fish, bought with Marian’s money, to share with his flat-mates. There are no fixed moral judgements in this novel, despite a sense that the protagonist has been set up for a fall and inevitably, by the end, she may need to metamorphose or grow up. Throughout, the novel manages to be wonderfully open in its exploration and questioning of how we choose to live (there are a myriad of exempla in this compacted and crafted novel) and of what makes us human. It also allows, in the structure and implication of the novel’s events, that things can play out variously, and disparate endings may, or may not, have an equal legitimacy: for instance, there are different versions (and textures) of an event in one section of the novel, each of which would produce a different ending. Rather as in the film Sliding Doors, the reader is asked to consciously experiment, to question and play meta-fictive games, exploring what the novel has held up to that point and which directions it (and life) might, or should, fly off in. At the conclusion of the novel (a mirror piece to the chapter’s opening, a sort of call and response? ), there is a conclusion that satisfying exploits the novelistic trope of suggesting new beginnings, or ‘transformations’, out of the ending (p. 254.). The last word, fittingly for a novel that also explores the creative process,is given to the wayward, yet diligent artist and to things and understandings that remain nascent. Jean-Claude, in his studio, having painfully learned about self and artistic choices (just as Marion has discovered about the ‘experiment’ of life) reflects on the seal chemical processes (p. 254). 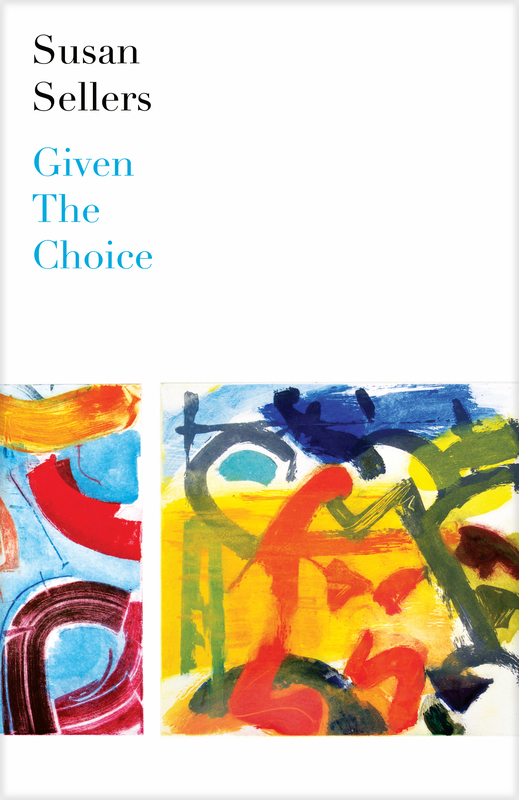 The richest painterly choices, and one might suggest,the strongest novelistic decisions, are not so much ‘intention’ or something that comes obviously ‘from … self’, but are an active indeterminacy, resulting from ‘choices [that] had already been made’, and a judging of ‘what to leave and what to alter’ and how to suggest ‘coherence, the need to weave all the elements into an intelligible shape’ (p. 254). In life, too, Sellers suggests, we cannot utterly control (and ironically, this novel is at its best when it loosens control, relaxes its linguistic and syntactical hold) and need to harness openness, sensitivity, serendipity and an ability to communicate with otherness. Each trajectory of existence, each artistic attempt or deciphering of it is somehow like ‘the perfectly formed yet somehow indistinct’ features of Marion’s wondrous new nephew, ‘a carving the sculptor is still working on’ (p. 16). This entry was posted in Book Review on 24/01/2014 by pgcwwn.